The last time that Nathan Partain checked in, he was purveying crunchy Southern rock and worshipful ballads on Jaywalker. On his new record, Partain has stripped out a large amount of the crunch and embraced delicate acoustic folk almost entirely. The songs still meet the goal of being fit for congregational worship, but A Lovely Wait is a reverent, quietly-intense album much more reminiscent of Rich Mullins’ work or Sufjan’s Seven Swans than a contemporary worship album. Opener “You Were Not My People” is that rare opener whose instrumentation and lyrics set the stage perfectly for what’s to come in the rest of the album without stealing any of the thunder of the later tracks. The performances are crisp in their precision, but remain delicate: the mellow keys, acoustic guitar, drums, and vocal performances all contribute to this careful tight-rope act. Partain’s voice doesn’t strain or push—instead, he calmly lays out the engaging vocal melody with a female counterpart. The mood this and further pieces create is similar to the quiet awe of Seven Swans, a rare compliment from these parts. That reverence carries over into the lyrics of “You Were Not My People.” Partain’s words reflect a depth and scope that is also rare in contemporary worship music since the death of Rich Mullins. Instead of focusing on a specific characteristic of God or on worshipers’ response to God, Partain takes listeners on a tour of the whole Bible from God’s perspective: the many ways that people have ignored, turned away from, attacked, and even killed God—and the astoundingly merciful and kind responses that God gives to people in response. The fact that this can happen in under 5 minutes is impressively concise writing. The idea of the song is one that comes from a unique voice in the world of Christian music. The reverent arrangements and unique lyrical perspective shine throughout the rest of the album. The gentle pitter-patter of “One Thing I Have Asked (Psalm 27)” shows off the instrumental prowess in creating worshipful moods, while “In the Strength You Give” is a spartan tune that accentuates the clear-eyed confessional lyrics. “Deliverance Is a Song of Peace” is a fantastic, expertly-developed folk tune. The catchy “All You Do Is Good” and the folk-rock of “Your Ways” are two tunes that are clearly focused on congregational settings; still, they are both great songs in their own right that don’t fall outside the sonic scope of the album. While those last two are clearly congregational, it’s a testament to the maturity of Partain’s songwriting that all of these songs work as folk tunes and could clearly work in worship. To then craft and sequence a top-shelf album out of songs that are already serving dual purposes is another challenge that Partain conquers. 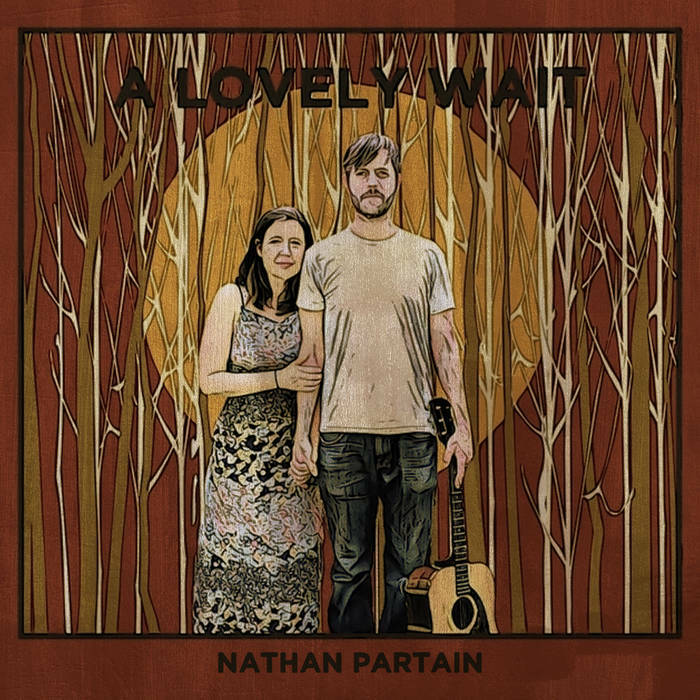 A Lovely Wait is an impressive acoustic folk album that transcends its place in the Christian music world while still creating music to serve the people of Christ. Highly recommended.